STUNNING DETAIL: The Butterfly Print Women’s Caroline Dress is a dazzling example of detailed craftsmanship at its best. It features gorgeous pink eyelet embroidery around the ruffled one shoulder detail and even more high-quality embroidered details and stitching along the hemline. COMFORTABLE & TRANSITIONAL: This cute dress is so exceptionally comfortable that you won’t want to take it off! Fortunately it’s not just a day time favorite; this dress makes the transition to casual evening dress seamlessly. LIGHTWEIGHT DESIGN: Wearing the Butterfly Print Women’s Caroline Dress makes the perfect party dress; it’s lightweight and thin enough to give you ease of movement so you can go with the flow! 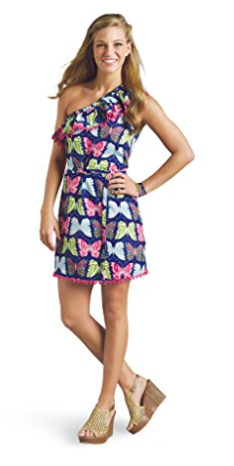 Mud Pie designs are famous for the stylish and flattering way they accent a woman’s figure and the Butterfly Print Women’s Caroline Dress is no exception. The ruffled collar with its one shoulder detail coupled with hemline accents make staying effortlessly chic day dress! The one shoulder, asymmetrical design highlights and flatters your neckline. Made from 100% cotton, theButterfly Print Women’s Caroline Dress is a delightful comfort to wear throughout the day. Because the fabric is so lightweight, it can be worn spring through summer. It makes the perfect beach cover, it packs up small so bulkiness is never an issue. 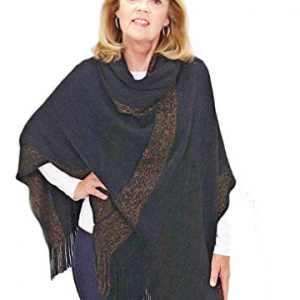 Furthermore, it’s remarkable versatility allows it to be worn as a casual dress well into the evening too. This one shoulder dress is a light airy addition to your summer wardrobe and comes in a variety of bright, cute prints so you’ll always be in style!